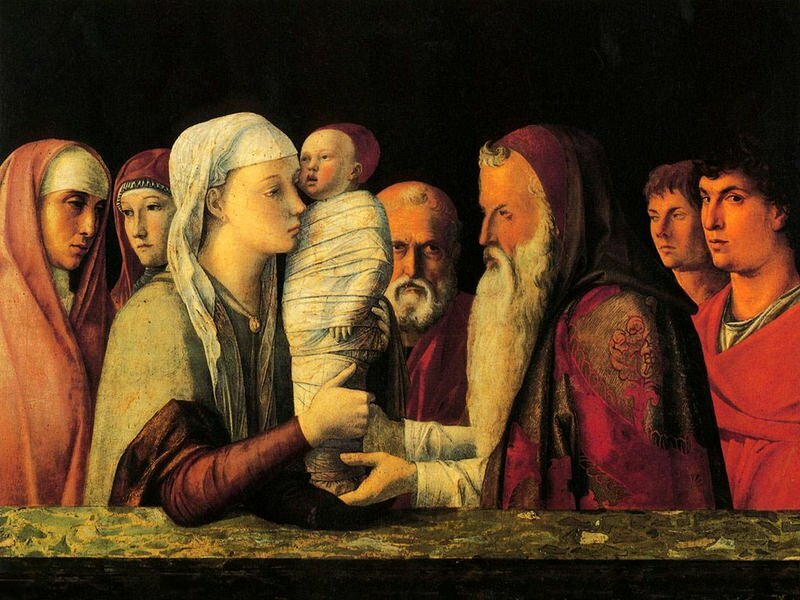 In this ingenious poem, “Candlemas,” Blessed John Henry Newman weaves together the entire liturgical year using the theme of light as the thread. In Newman’s day (and still in the Traditional calendar), the Christmas season ended 40 days after Christmas on February 2nd with simultaneous feasts: the Purification of the Blessed Virgin Mary and the Presentation of Jesus in the Temple. These feasts are an extension of Christ’s Nativity. It was Simeon to whom Mary presented Jesus, and in his prophecy to her, found in the Gospel of St. Luke (2:34-35), he told Mary her heart would be pierced with a sword. Before Simeon gave this prophecy to Our Lady, he referred to her infant Son as the Light to be the revelation of the Gentiles, and because of this, light and candles play an important role in the Mass, when the candles for devotional use throughout the year are blessed, hence the name for this Feast – “Candlemas.” Newman not only brings all of this into the poem in the first two stanzas, but manages in the third stanza to extend the light imagery up to and including the Paschal candle, lit on Holy Saturday. Before the Paschal candle is lit, though, there will be the long “dim” season of lent. In another masterful stroke, Newman, in the fifth stanza equates the sword which pierces Mary’s heart to the wounds we give Our Lord by our sins. The regular rhythm and uniform lines of 4 iambic feet alternating with lines of 3 iambic feet, give this lovely poem the sound of a hymn, which indeed Newman intended for it to be. Though this beautiful hymn is not found in hymnals, nevertheless, it is sung in many oratories to the grand tune: Old Winchester. In the last stanza, Newman brings light into all time, by reminding us that Jesus is and ever shall be the light of the world, and His Mother, our mother, music to us, rest for the weary soul. The Virgin Mary presented Jesus in the Temple as a child, and at the foot of the Cross she stands next to her Son. Both in joy and in suffering, she reflects the light of Christ. Are we ready to stand with her, and to allow Christ’s light to shine in our hearts? So edifying and beautiful, Prof. Wyman!